Normandy wood, from the Phoenix Tree (Firmiana Simplex), is a hardwood with natural qualities that make it ideal for shutters and blinds. In its natural state, Normandy is a very even-coloured wood – perfect for staining. This means you can choose from a variety of standard stain and paint colours. The wood also has a distinctive porous grain pattern, so the pores are visible even through the paint finishes. Normandy is a natural product, so some variation in colour and texture may occur. Being stained or painted, Normandy wood generally remains the same colour. If any colour change does occur, it will be gradual, and adds to the character of the timber. Normandy is naturally a medium-density timber which makes it ideal for shutters – being neither too heavy nor too light, but still offering a reasonable amount of hardness, giving a good resistance to knocks and bumps. One of Normandy’s great features is its resistance to bowing and warping when kiln-dried. 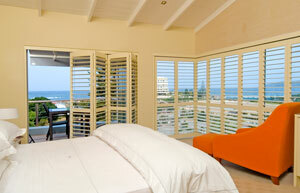 This is an important quality in the manufacturing of shutters. 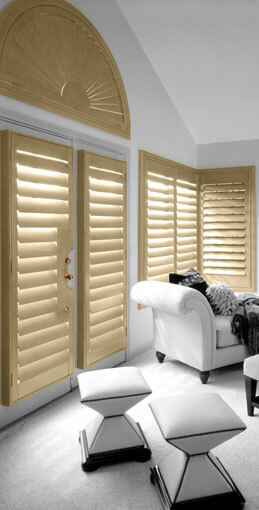 Normandy shutters are coated with a lacquer that is designed for interior use only. It is therefore not recommended for wet weather areas. The timber used for Normandy shutters is grown mainly in plantations in China. Normandy is a readily available and quite a quick-growing timber. The plantation forests are managed for sustainability, ensuring an environmentally-friendly and ongoing supply. 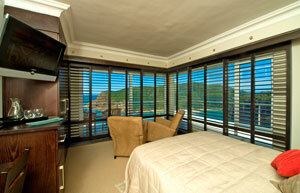 Add luxury and choose to have motorised plantation shutters.